Hip hop is a dance form which is not easy to define because every single person you ask will give you a different definition. This is because hip hop dance is not just about moves, it involves different cultures and therefore different lives. It has a separate style of dance with different language, music preferences, and wardrobe style. So before you start to search for hip hop dance classes, we bring you a little detail for five of the most common hip hop dance moves or styles which make it look more fun to perform. Popping: first we have on our list is Popping which was developed by Sam Solomon from Fresno city of California. Students need to have command over their body but still keep it light. The students need to work on muscle contraction and relaxation to bring jerk to the body. These jerks are actually called hits or pop with terms like waving, puppets, tutting, creep etc. Locking: the next part of hip hop dance is locking which was introduced by Don Campbell in LA. it needs you to shift from one position to another by locking your body for a few seconds at last position. It needs bigger moves that are aligned with the music along with relaxed legs and hip. So, when you see any hip hop dancer performing locking moves, you may notice throwback, lock, scooby doo, Leo walk etc. Breaking: breaking which is also known as b-boying or b-girling is one of the most famous moves of hip hop dance. It does not have a definite structure but has many improvisations that are evolved from uprock dance style. Breaking involves powerful moves like toprock, downrock, power moves and a lot of freeze moments. Some of its terms that are a vital part of this dance style include Zulu kings, crazy commandos, full circle, new york breakers, and seven gems etc. Boogaloo: Boogaloo is a dance move which needs very loose movement on the legs and hips. The boogaloo dance moves create an impression like the person dancing in the front has no bones and it is very closely related to popping with the movement of knees, legs, hips, and head. Some of the popular terms of boogaloo in hip hop dancing can be twist o'flex, cobra, Egyptian, fakey and so on. Social Dance: the social dance style comes into play during the 80s as it was the most popular dance style of the time. It was transformed by the club dancers to some extent and later it becomes a vital part of hip hop dance style videos with terms like the wop, the rooftop, the worm etc. So, if you are feeling connected with hip hop and searching for “dance classes near me” reach us to get yourself drowned into the hip hop beats. Call us today! Dance is something that can help you express your feelings and emotions with moves. It is not only good for your mental health but also for your body as it is the best alternative for your fitness goals. Dance is also gaining fame throughout the world because a lot of people have adopted it as a profession and it is great because when you are into something which makes you feel happy, there can be no job better than it. So, if you are looking for the next international rock star in your kid, here are a few things with which our Dance Academy could help your kid. Developing Attitude: Dancing is all about the attitude and the expression. We at New England Dance Academy work to bring out the artist hidden in your kid. We not only aim at polishing their skills but also target to develop the perfect attitude that they can work to establish their signature identity in the field of dance. Motivated learning: at NEDA, we always try to make our place the best choice when it comes to finding dance classes for kids as we look forward to promoting the energy and enthusiasm in kids. We have a culture of motivated learning where no kid feels left behind or amateur because we only grow when we learn and practice. It is also good for the psychology of children which keeps them positive in other goals of their life. Fun and Engagement: dance is all about art and art is something which should be fun. So, we try to create a fun and engaging environment for our little dancers. No dance can be made look graceful when the dancer is not able to find fun or feel engagement with the music. 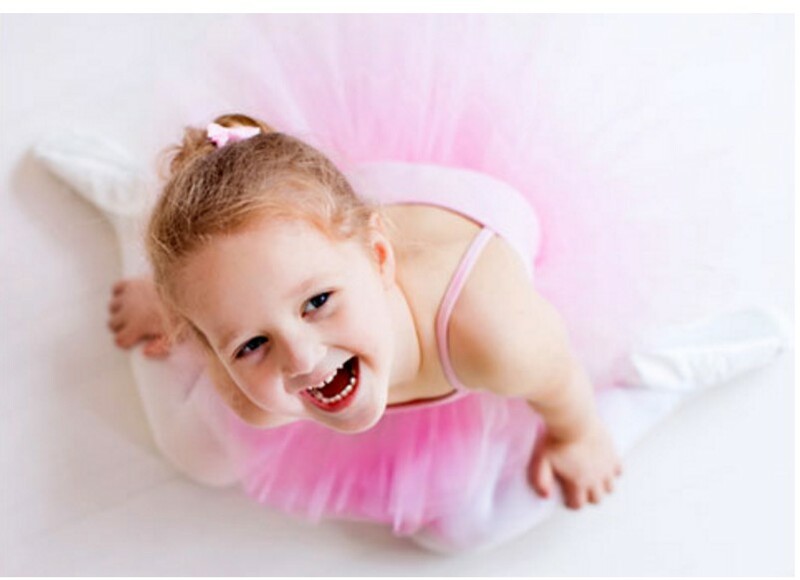 NEDA promotes the passion for dance which is very crucial to your little one who loves to move on the beat. So, if you are looking forward to getting your kid to a completely professional yet homely dance school, feel free to reach our New England Dance Academy. Reach us today! The 3 Things You Need To Know Before Your Child Starts Dance Class! Starting Dance is an exciting time for a child of any age, however for some children the start can be a bit overwhelming. For many children, dance class is the first introduction to school. Here are some sure fire tips to help make the transition into dance class successful for the whole family. Tell Them What to Expect! Start Talking! Tell your little dancer beforehand about what to expect. We always suggest a visit, a tour and a consultation at the studio before classes begin. This way all questions or concerns are answered before the first day. Ask the studio to provide you with a class overview and class details. This way you can familiarize your child with the class routine. Ask the studio to provide the name of the class instructor, let your child know the teacher's name and make sure to introduce your child to the teacher. The teacher should have name tags for all of the students and should be working quickly to learn all of the names of the students in the classroom. Reassure your child that the experience is new for everyone and anything they don't know they will learn! Provide The Studio And Teacher With Information About Your Child! Children have different needs. Preschool dance instructors should be trained in early childhood development and know the best teaching practices to provide a nurturing and caring environment. If your child has specific needs share them with the teacher and studio beforehand. The goal is to provide your child the best possible dance experience, so share your thoughts, concerns and questions. Allow Your Child The Opportunity To Adjust At Their Own Pace! Every child learns to adapt to new situations differently. Some run into the classroom, some cry, some observe without participating, and everything in between. This is all expected. Give your child the time they need to adjust. All children will be more successful in the long run if they are given time to come into the activities at their own time. Providing your child with the help, support and encouragement they need will help make dance a positive experience for the entire family! New England Dance Academy Voted 2018 Most Loved Dance Studio! Educating. Nurturing and Caring For Children Of All Ages For Over 28 Years! Get Them Off To A Happy Healthy Start-NEDA Now Offering Trial Week!- What Will You Try! Limited Offer! Recreational -vs-Competition Dance, "What's The Difference!" As The Owner and Artistic Director Of New England Dance Academy in North Attleboro, Ma I get asked quite often the difference between a recreational dance program and a competitive dance program. "What's The Difference?" "Does the recreational dance program mean inferior training"? "Will my child be left behind if we don't pursue the dance team track?" These are all valid questions, so let's answer them. Both the recreational and competitive dance classes should ALWAYS promote learning, strength, flexibility, proper technique, endurance and confidence. Many times parents will make the decision to go with a "less competitive" program thinking that their child is not ready for the "strict dance experience". In reality all dance training should be equal, and learning and progress should be taking place at each and every level. The only factor that should separate a recreational student from a competitive student... IS TIME. Team dancers should not receive better training, but MORE training. At NEDA, the average team dancer commits to a minimum of 5 hours per week. This additional time in the classroom allows for a more concentrated emphasis on conditioning, technique, strength, flexibility and endurance. These skills are achieved faster because there is more TIME dedicated to the Progress. Not every students will decide to make dance their number one sport, art, or activity. Many students want to take dance with their friends as a social activity, for health, exercise , or just to have fun. That should be encouraged, however that should not be an excuse for inferior training. Regardless of the age, or the amount of time in a dance studio, there should be consistent growth. The one hour per week student will not grow as fast as the five hour per week student but that doesn't mean their education shouldn't build. Students can have fun and learn at the same time. Don't lose sight of the fact that Dance School is just that, it's SCHOOL. You wouldn't be happy if your child wasn't reading after years and years of instruction…the same should be said for their dance education. In most cases the tuition for the "recreational" student is the same as the tuition for the "competitive student" so it stands to reason the QUALITY of the eduction should also be the same! If Your Son Wanted To Dance Would You Support Him? 10 REASONS WHY YOU SHOULD! Dance builds strength, coordination, agility and fitness. Dance keeps boys in condition and fit for all sports. Dance builds healthy bones and muscles. Teamwork - Dance is a Team Activity. All boys have to work together to create the best result. Mental Sharpness - The discipline required to learn steps requires focus and positive thinking. Confidence - A reserved student builds self-esteem and character. Health - General conditioning, improved lung, heart function and Brain function are optimized. Creativity and Self Expression. Unleash the inner artist - Boys are natural movers! Society can sometimes diminish the boy's need to express and process emotions. Leadership - Dance creates leaders in the classroom. Something they will carry with them throughout life. It’s Fun - Josh Perez, our All Boys Hip Hop teacher is electric, fun and his story is inspiring! NEDA is offering a winter session, 6-week All Boys Hip Hop Jam Workshop! So LET’S HEAR IT FOR THE BOY! Click here to learn about our All Boys program! Is Your Preschool Child Ready for Dance? This is the question I get asked the most as the Director of NEDA; When is the right time to start dance, and is my 2 year old ready? There is no definite answer. It is different for every child. Please call or email NEDA to set up a personal tour and consultation. 20 minutes of your time now will go a long way to insure your child's success! Our Dance Experts are on hand now to help you navigate the right path! All children reap the cognitive and emotional benefits of interacting with other children. The right social environment will help children develop stronger language skills, nurture creativity, social intelligence and confidence. Learning to work with others, developing communication skills, understanding social cues and building friendships are just some of the advantages of an NEDA early childhood dance program. NEDA will work with each family to devise a plan that works best with each individual child. Some children run right into the classroom while others need coaxing. Each faculty member has an assistant teacher on hand to help with any students who need a little more TLC. We understand for many of our youngsters, dance is their first introduction to school, and their first time separating from their parents. You have nothing to fear! We have your back and will work with you to make the transition seamless!